I just sent another MailChimp mass email to everyone. It can be viewed here as well. If you are not getting the emails, please don't stress. Look at the post before this and see how you can subscribe (or resubscribe) yourself to the list, but I will always post the emails here as well. I'm working on pairing seed beaders right now. 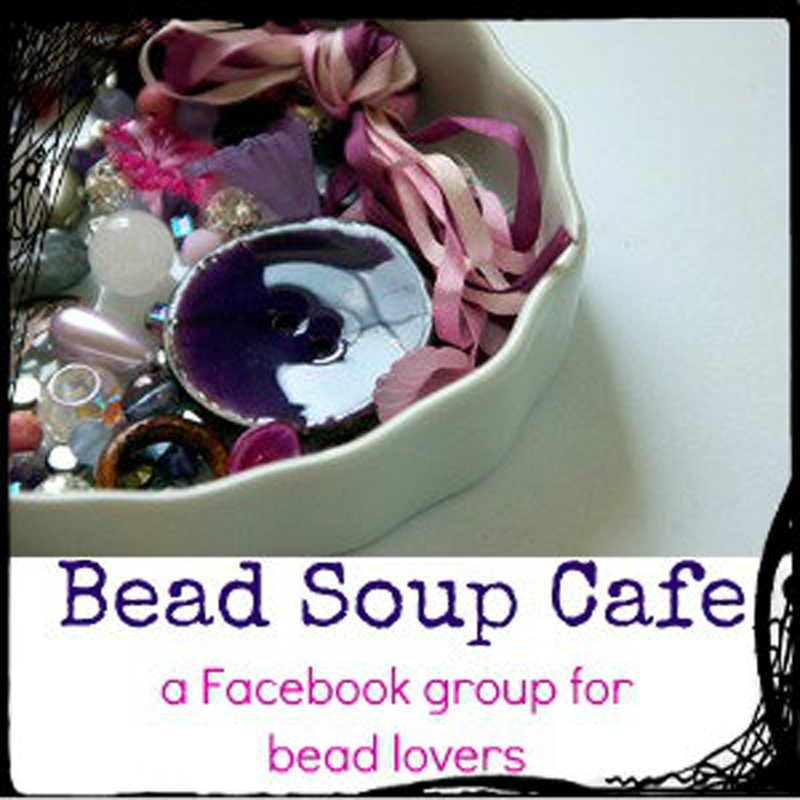 First, please be sure to check www.BeadSoupBlogParty.com on a regular basis as I'll also be posting things there. Second, I asked on the Cafe last night what to do about the amount of time it takes to email all of you individually with your partner's name, blog, and email address. 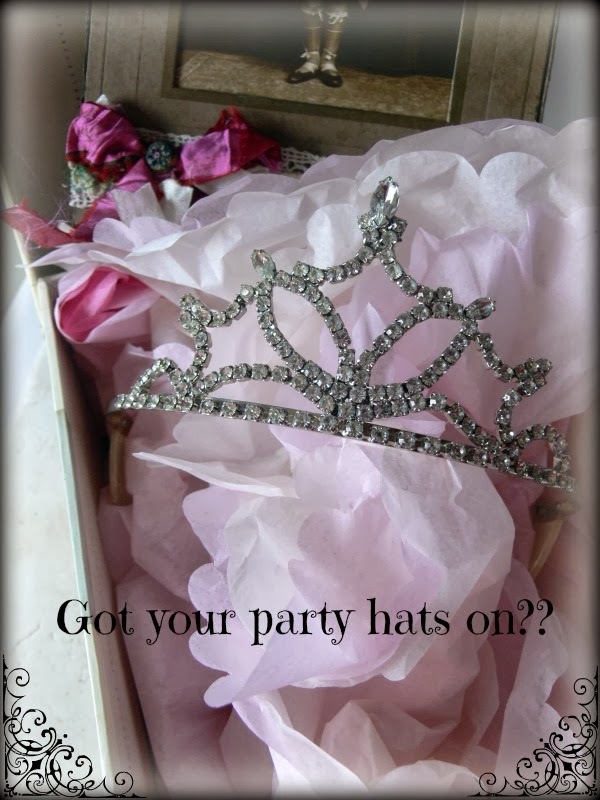 The consensus is that for this party, I will be listing partners in batches, on www.BeadSoupBlogParty.com (as well as this email), name and blog only, and you will need to go to your partner's blog to make contact. This means if you haven't already made it easy to reach you on your blog, you may want to check. If you use Blogger, your About Me should include an email and not take someone to Google+. If you absolutely do not want to have your email out on the internet, please, please check your inbox, look on Facebook, ask atwww.BeadSoupCafe.com. Having a way for not only your partner but your blog readers to contact you privately via and email link or "About" button is a great way to gain new insights and interact with your readers. All US participants -- PLEASE use Delivery Confirmation. It's inexpensive and valuable. Before you ship your soup, take a picture of it, but don't post it until your partner has. PLEASE keep up with your partner, particularly in the early days and the days before reveal date. ANYONE can send me a picture of their soup for an opinion. Stay tuned -- pairing is in progress! Hi guys -- I know you're anxious and excited, but I really am still here, just trying to manage a lot of things behind the scenes. First, for those of you who said you did not get the "Welcome, You're In!" email, please check both your spam and deleted folders. I use MailChimp to send all the emails at once, and some mail protocols either don't like mass mailers, or your security settings for your email is set such that it kills it. If you follow this page, you should be just fine. I'll post what I sent in email here as well. I have no idea if this will work, but if you aren't getting emails, please try to add yourself to my list (even though you're already on it) by clicking here. I tested it with an alternate ID but it still may or may not work -- some have been able to add themselves, so please do try that method. But if you keep your eye out here, you should be fine. About partners -- I have to individually email every single one of you. I don't like putting everyone's email up for spammers to grab and have a hay day with. It takes a LOT of time to email the "here's your partner" email. Some of you may receive your partner BEFORE the 28th, so please keep a look out, and I will post partners and blog links here after I email you, too. While I'm getting you all paired, please get your soups ready. I know some of you like to wait and see who you get before (because you just may have made a soup that they already kind of use!) but the extended waiting period between sign up and partner list means there should be NO LATE MAILINGS. Sorry to yell in all caps, but it is so important you get yourself as ready as you can. I absolutely know life can get in the way, so please start preparing now. I'm now going to post the email I sent out last week that some of you say didn't arrive in your inbox. 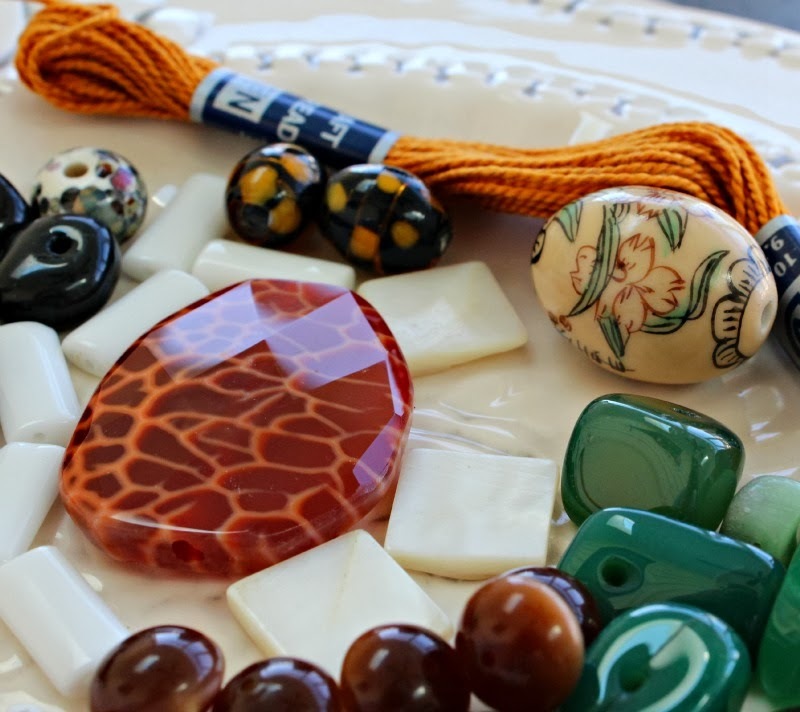 Bead Soup Blog Party info! 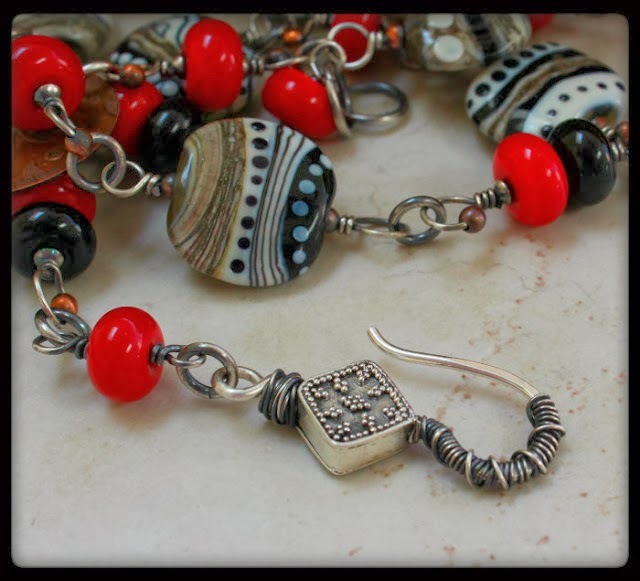 8th Bead Soup Blog Party! Second, I will be emailing you and your partner together to give you each your email addresses and blog addresses. I would really like for you guys to try and chat a bit, get to know each other! Third, PLEASE do not send a soup that is exactly what your partner already works with. If your partner works in vintage, please don't send vintage. Please take special care in preparing your Soup! This blog hop has been written about in at least two magazines and has a stand alone book. Consider the soup you send as not just a gift,but something you would be proud to send to a magazine editor. I will be writing an in-depth blog post today or tomorrow that is a Must Read. If you have an international partner, it's imperative that the two of you discuss EXACTLY how to fill out the customs form. ALL packages are gifts. I'll be writing up a blog post about preparing your soups -- please take the time to read it over, as there are some new rules and suggestions that will be helpful. Please take the time to mark your calendars! Participants have now been notified! 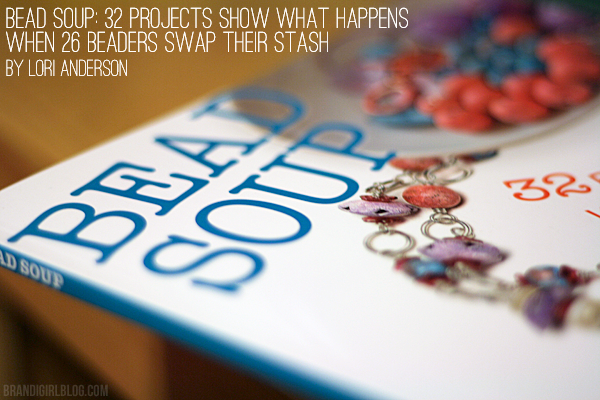 After a lot of hair-pulling, I just sent out the first email to the 490 participants of the 8th Bead Soup Blog Party. If you didn't get one, PLEASE check your spam. Please pretty please, before you say you didn't get one, check. Thanks. Now that I've sent out the "Congratulations" email, I'm starting to pair people up. Now is ALSO the time for you to start putting together a few different soups. Why prepare your soup before hand? Well, for one reason, the idea is NOT to send what your partner normally creates with. If your partner creates with vintage, please don't send vintage components. If your partner is an earth tones person, choose other colors. And if you have several soups ready, you can mail IMMEDIATELY. As I've said before, you do not need to send a million beads. If you want to send more than one soup, go for it. If you want to send more beads than required, that's fine. You just cannot get upset if you don't get the same back. As long as you and your partner are following the simple three steps of quality focal, special clasp, and coordinating beads, you're good. And if you get a LOT of beads, you do not need to use them all -- just the focal and the clasp and not even in the same piece. The majority of people receive beads they have either never used before or don't have access to, and that helps expand your design power. 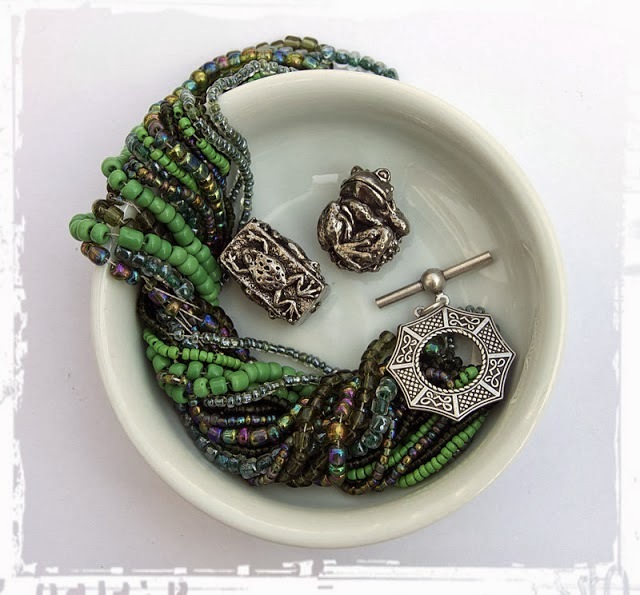 When you get your Bead Soup from your partner, dig into your own stash and start seeing what ELSE you may have that works with it, and embrace the challenge. :: You get to keep the piece you make and wear it, sell it, or donate it. If you plan on making your clasp, please do not use craft wire or a thin wire that will not hold up. If you aren't in the habit of making your own clasps, this may not be a good time to stress yourself out. Some people like to go wild with their packaging. I have done both -- sent beads in my normal jewelry boxes and beads in hand knitted pouches. DO NOT feel that you have to compete with anyone with packaging, ESPECIALLY if you are sending overseas. Packing needs to be secure so the beads don't break, but consider the weight of your package when you put things together. 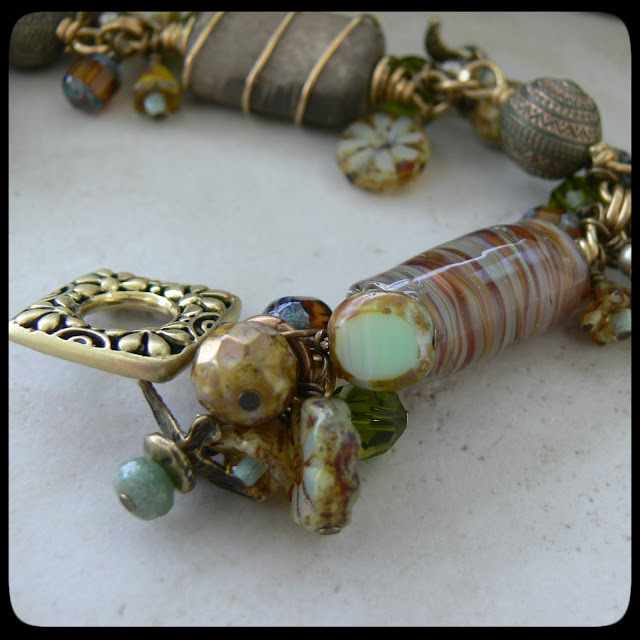 I used the lampwork tube bead in a bracelet rather than make it a pendant for a necklace. Also, if you are sending overseas, be sure to ask if there are restrictions. Many island nations are NOT allowed to have seeds or certain shells sent into their country and it will have to be destroyed. Stay tuned for even more info. Please stay tuned to this page, as more information, tips, and hints will follow! Please either follow this blog and/or www.PrettyThingsBlog.com so you don't miss a thing. 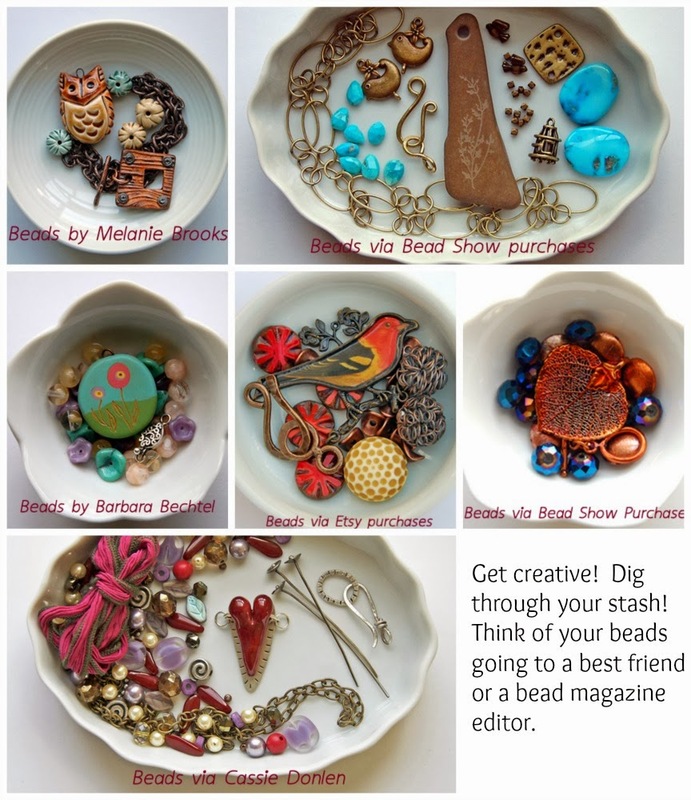 8th Bead Soup Blog Party sign ups are OPEN!!!! 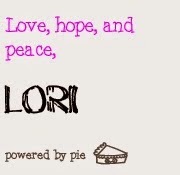 and sign up for the blog party. Don't forget, it's ONE DAY ONLY! Some favorite Golem Beads --- will I use one of these in my soup????? I'm currently working the hamsters that run my computer hard as I try to send out emails to past party participants (it won't work for me -- Rick's fixing it), set up a sign up sheet that doesn't miss something critical (one year I do believe I left out room for your blog address but luckily found it pretty darned fast) -- just the typical internal pandemonium that takes place here at House Anderson before a Bead Soup Blog Party sign up. And I'm doubly worried this time because even though I've dropped huge sign boards about the party everywhere like bread crumbs in a Brothers Grimm forest, I'm afraid that I'm going to get emails from upset people wondering why they missed knowing about the party. I will blame the Big Bad Wolf, since we're talking Brothers Grimm here. Then pray for a Fairy Godmother who bakes a mean apple pie. 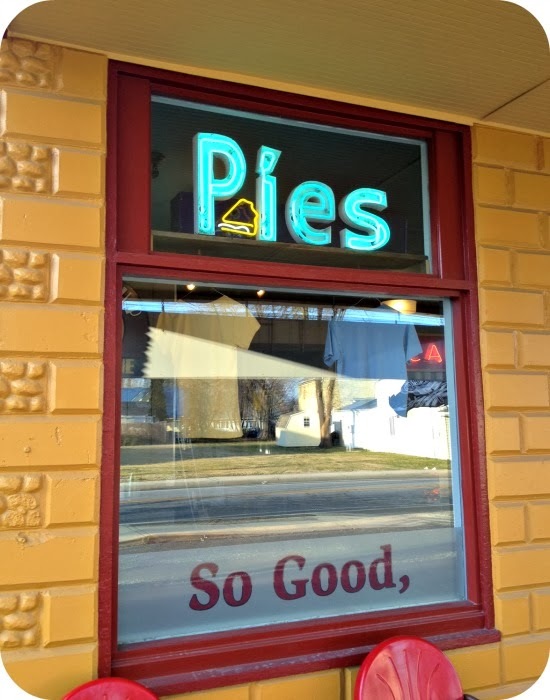 I could use some pie. My favorite local coffee shop, Rise Up. But seriously, I do hope you will join me in not so many hours (midnight, US EST) and fill in the form (NOT THE COMMENTS) to sign up for this once-yearly event. I will do everything in my power to help you out, but I do sleep, so please hang tight if you have a question. :: There will be no contest this time. :: There WILL be a Pinterest board. :: There will be no Facebook entries this year. And again, entering "I'm in!" in the comments section will do nothing -- you must fill out the form that will magically, like Cinderella's carriage, appear at midnight. PLEASE be sure to hit "Submit form". All of your information then will go into a spreadsheet with a time stamp, allowing me and Rick to start our work. 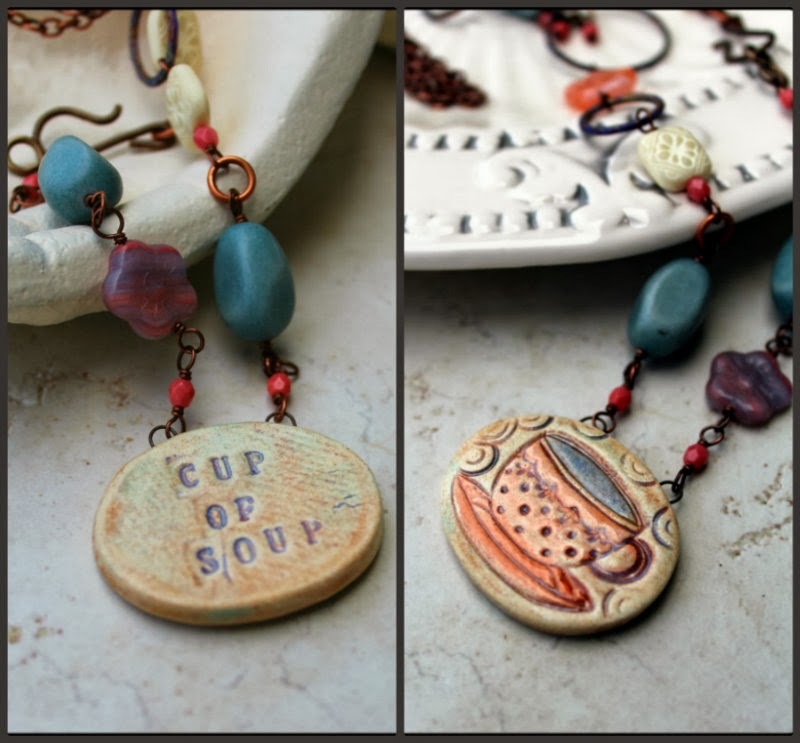 The sign ups for the 8th Bead Soup Blog Party ® are swiftly arriving (this weekend, February 9th in fact), so now is the time to get the badge on your blog, start planning your soup, and telling your friends! It is a once a year party, and this year, there is only ONE DAY TO SIGN UP, so mark your calendar! 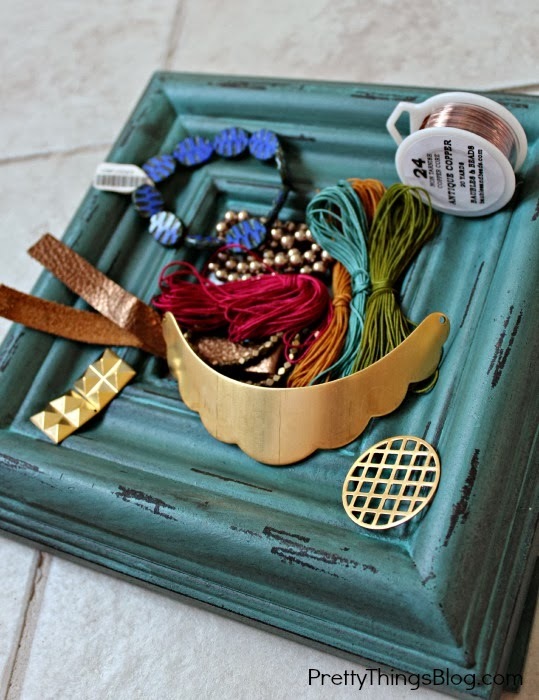 incorporating beads from your own stash as needed. 2. 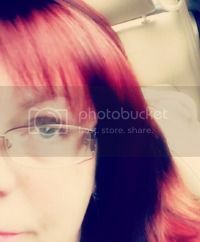 Choose the Photo Gadget in Blogger and upload the photo. You may need to click the "Shrink To Fit" box -- that option only seems to show up BEFORE you add the photo. Experiment with it as your blog borders may be different than mine. (I'm sorry, I only know Blogger, but email me or post on www.BeadSoupCafe.com if you need help! as the time for each action comes near. I will be taking all who wish to participate. 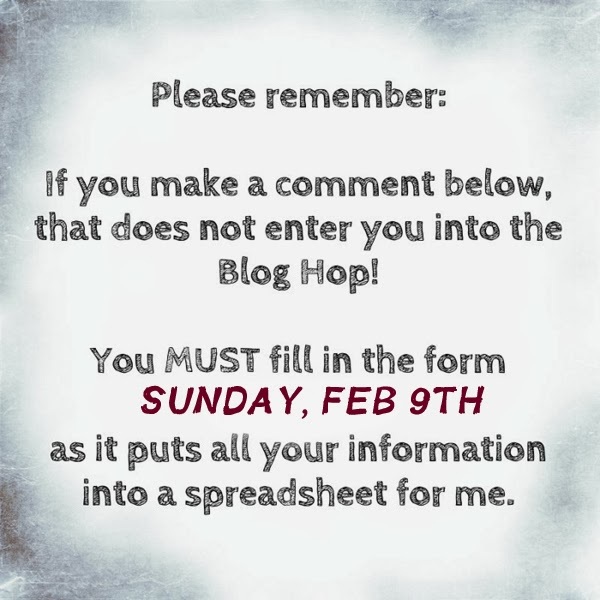 This can make a large blog hop, and not everyone will have the ability to visit all the blogs, but I will make a permanent link for each blog hop post so blogs can easily be visited throughout the year if desired. On the first minute of February 9th EST, a form will appear at www.PrettyThingsBlog.com. It will be open the entire 24 hour period, covering Feb 9th, US EST. There is a built in time stamp when I get the form. Please fill in all the questions, as they are then automatically entered into a spreadsheet that make this MUCH easier on me. (The actual blog hop will take place at the Pretty Things Blog site. Below are some examples of Bead Soups from my book to give you an idea of what is meant by quality. That doesn't mean they have to be expensive! In fact, a few of the focals only cost me $5. But the focal and clasp should be special. 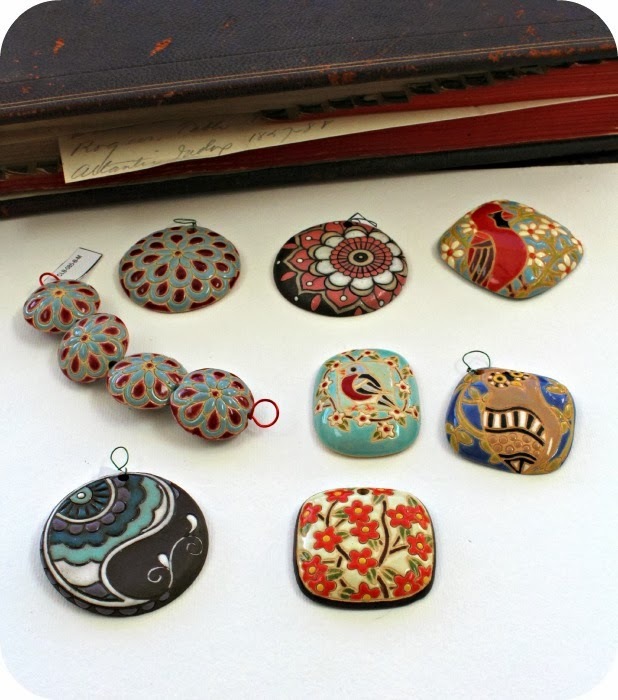 This also shows you what is meant by "coordinating beads" --they should coordinate with to the focal. They do NOT need to be used at all, or can be used with other focals or beads in your own stash. But you MUST use the focal and clasp you were sent (although they can be in separate pieces). As you will see above, some people will send various amounts of beads, which is PERFECTLY OK, yet some will send a larger amount just because they want to. That is FINE -- but please do not feel you must send an entire bead store. Also, if you send a truckload of beads and don't receive the same, you can't get upset about that as long as the rules were followed. And if you get a truckload of beads, you are NOT obligated to use them all. not beads you were going to throw away. I do my best to pair you with someone who does not work in your medium, although sometimes I goof. The idea is to help you think outside the box and work outside your normal comfort zone, pushing you into creative directions you may never have gone. 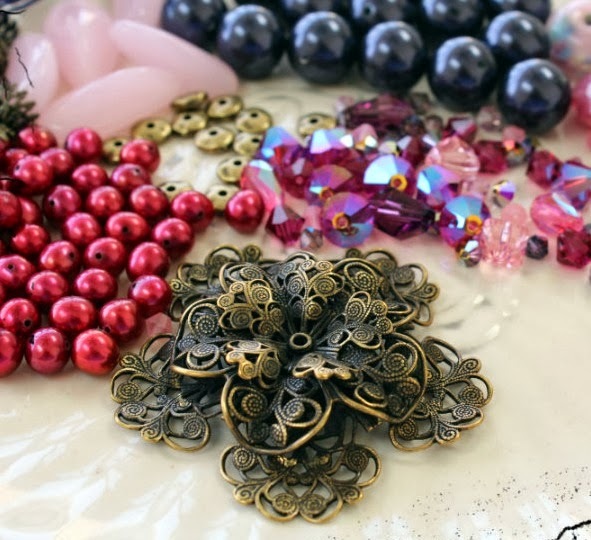 When you get your package of beads, show your beads on your blog. You can also talk about your partner and what they do. I want you to get to know your partner in the days leading up to the reveal. Once you get your beads, get cooking! Make a piece (or several pieces! ), take pictures, and post on your blog on the reveal day. Feel free to talk about your process. Everyone hops around to as many blogs as possible to see what people made. You don't have to hop all on one day and you aren't obligated to visit all the blogs. Usually, the more comments you make, the more you get. But I don't want anyone to stress out over this! amazing blog hop at Kalmbach Publishing or your favorite book store. I hope to have you sign up this weekend!